When you mention the Somme most people immediately think of the disastrous first day of the battle, the 1st July 1916. This day passed into history as the British Armies blackest day, 60,000 (actually 57,470) casualties of whom over a third (19,240) dead. This was the day that Kitchener's volunteer 'new army' raised from the flood of recruits to the colours at the outbreak of war in August and September 1914 saw their first and for many of them their last major action. These 'pals' battalions were raised from members of the same town, the same street, men from the same factories who had been 'pals' since childhood and the heart of their communities who had all joined up together. These men trained together, fought together and died together on that sunny Saturday in July 1916. Once the full extent of the casualties were known in those towns and cities mainly from the industrial north everyone knew someone who had been killed on the Somme, devastating their families and affecting their communities for generations. In the diversionary attack at the north of the sector at Gommecourt the Territorial 56th (London) Division attacked with battalions of the London Rifle Brigade, The Rangers, Queen Victoria Rifles and the Queens Westminster's, all units that later formed 4RGJ. Around Hebuterne, north of Serre, the Territorials of the 48th (South Midland) Division, were in the line that day in reserve, although not actually engaged in the initial assault (apart from 2 Royal Warwickshire battalions attached to the 4th Division) they were to have followed later on in the day had things gone well, these included the 1/4th Oxfordshire and Buckinghamshire Light Infantry and my Great Grandfathers own 1/1st Buckinghamshire Battalion brigaded within 145 brigade (some things don't change). 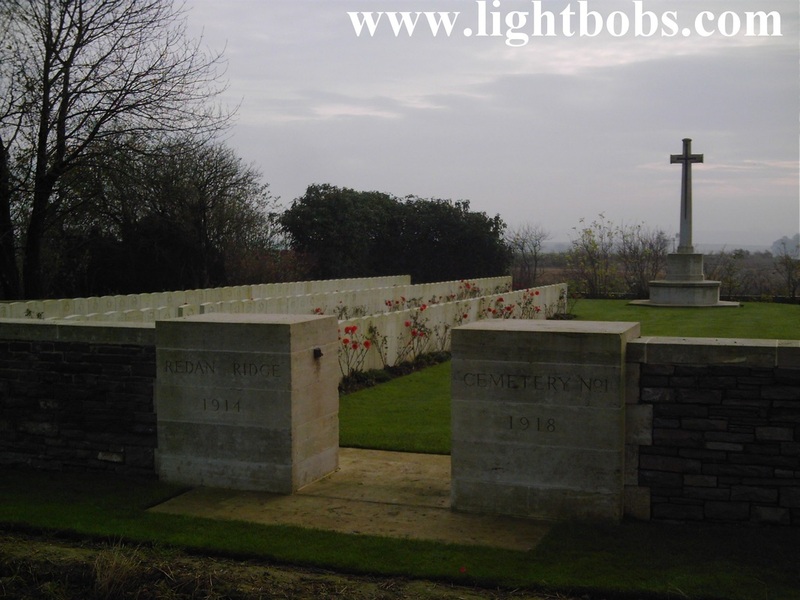 Further south between Serre and Beaumont Hamel the regulars of the 1st Rifle Brigade were to attack across Redan Ridge with the 4th Division whilst further south the 2nd Rifle Brigade were to attack Ovillers with the 8th Division. Redan Ridge viewed from the Hawthorn Mine Crater. In the south of the sector where it joined with the French, gains were made and the line advanced but, in the northern sector the line would virtually stay the same until the end of the battle in November. During those five months the British and Dominion Armies advanced to just short of Bapaume. It had fought in places that would become well known to later generations, Beaumont Hamel, Serre, Mametz, Montauban, Trones Wood, Delville (Devils) Wood, Pozieres, Mouquet (Mucky) Farm, Guillemont, Ginchy, High Wood, Flers, Courcelette and Thiepval. Between 1st July and 18th November 1916, 40 battalions from our former regiments fought in the Battle of the Somme. A second Memorial to the Missing is at Pozieres and commemorates another 14,650 who were lost between the German spring offensive of March 1918 (when the Germans pushed the Allies back across all the ground won in 1916-1917 until the 'Advance to Victory' in August 1918. Pozieres British Cemetery and Memorial to the Missing. 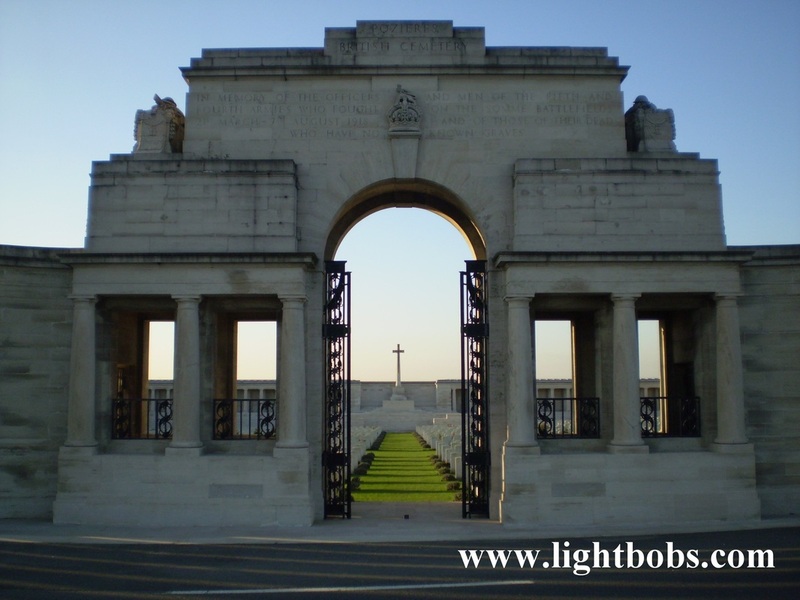 Pozieres is also the site of Memorial to battalions of the Kings Royal Rifle Corps who fought in France during 1914-1918. 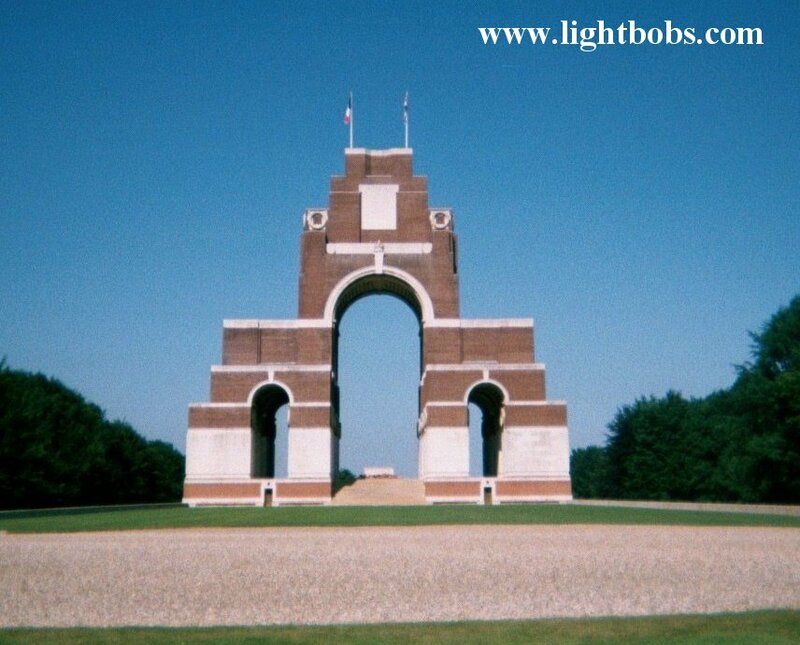 AND MEN WHO HAVE THEIR LIVES ON THE BATTLEFIELDS OF FRANCE FIGHTING IN THE CAUSE OF LIBERTY"
At the Thiepval memorial every year I am very proud and privileged to attend two main Services in my capacity of Standard Bearer for the Somme branch of the Royal British Legion. The first of July is commemorated by an Official Service at the memorial to the Missing at 11 o'clock; this is always attended by a British Army Regimental band and official dignitaries along with a multitude of Royal British Legion and Regimental old comrades Standards. The second Service is held at the 11th hour on the 11th day of the 11th month. It is on a smaller scale (as for some reason most people seem to head for Ypres) but I find it is very moving to be on the actual battlefield with 'the boys' to commemorate Armistice Day and be below the memorial that has carved on it the names of six bearers of my own family surname. 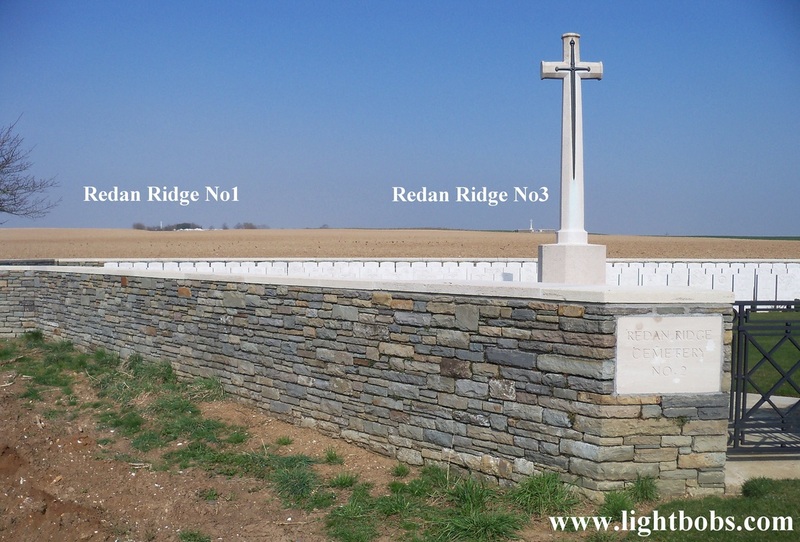 I am usually still on the Somme on the 13th November and on this day I carry out my own personal pilgrimage to Redan Ridge. This area of the battlefield to my mind sums up the futility of the battle. 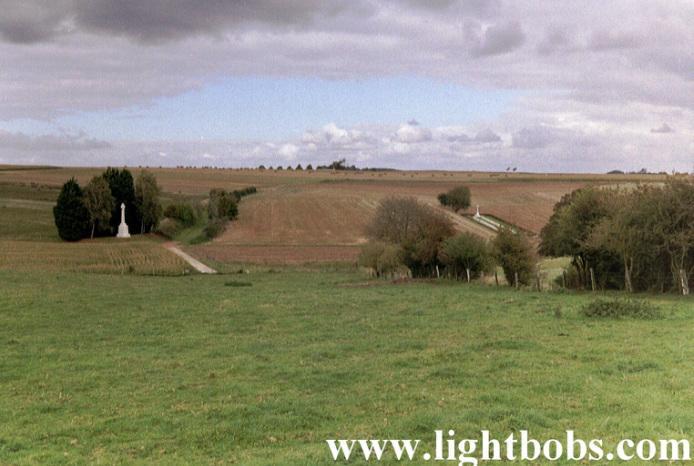 The Ridge itself is high ground between the Serre Road and the village of Beaumont Hamel. It is a barron landscape of flat agricultural land with hardly any trees or bushes, indeed the only things to break the monotonous skyline are the large white stone crosses marking the position of a British Cemetery. View across Redan Ridge from Redan Ridge Cemetery No2. 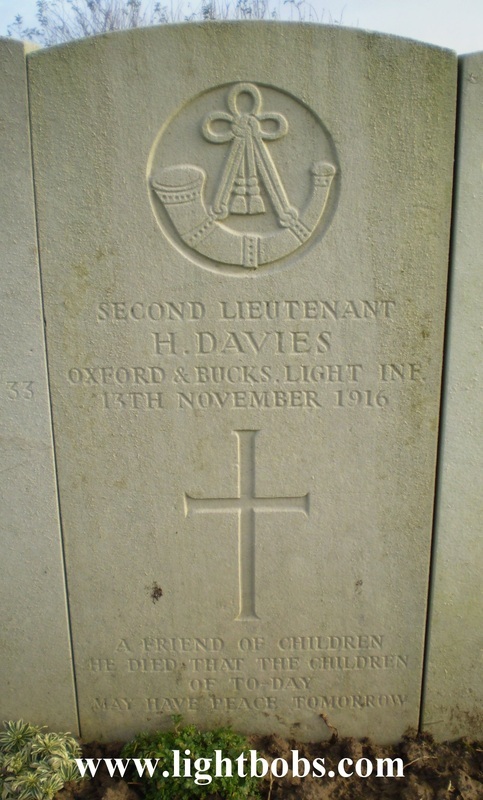 2OBLI casualties from November 1916 lie in all three.